A narrowly divided U.S. Supreme Court rejected a Missouri death row inmate’s challenge to the state’s single-drug lethal injection method, finding Monday it does not amount to “cruel and unusual” punishment. In a 5-4 vote, the court’s conservative justices ruled that Russell Bucklew could be put to death by lethal injection using the drug pentobarbital – even though Bucklew claimed it would cause him severe pain because of a rare medical condition. The decision, written by Justice Neil Gorsuch, found the Eighth Amendment’s prohibition of cruel and unusual punishment does not guarantee a prisoner a painless death. Gorsuch also found that Bucklew had failed to meet the standard set out in two previous Supreme Court decisions prohibiting as cruel only methods that “superadd terror, pain or disgrace" to a prisoner’s death sentence. 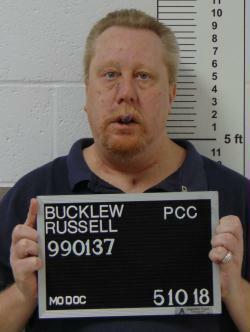 Russell Bucklew, 50, is on death row for murdering Michael Sanders in Cape Girardeau County. Bucklew’s Kansas City attorney, Cheryl Pilate,wasn’t immediately available for comment due to a talk she was giving in Topeka. 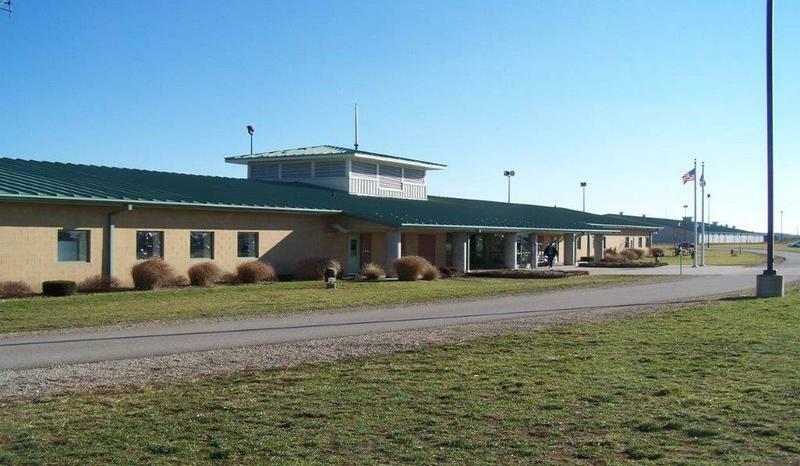 Karen Pojmann, a spokeswoman for the Missouri Department of Corrections, said Bucklew's execution has not been rescheduled. “As a result of his unique medical condition, Mr. Bucklew is likely to choke on his own blood during the execution and experience an excruciatingly painful death. This amounts to torture. Permitting such an execution does not reflect on the crimes of Mr. Bucklew, but rather degrades the kind of country we are and aspire to be,” Stubbs said in a statement. The last execution in Missouri took place in January 2017, when Mark Christeson was given a lethal injection for the 1998 murders in south-central Missouri of Susan Brouk, her 12-year-old daughter, Adrian, and her 9-year-old son, Kyle. Since 1976, when the Supreme Court reaffirmed its acceptance of the use of the death penalty, 1,493 people have been executed in the United States, according to the Death Penalty Information Center. In Missouri, 88 people have been executed since then. Justice Stephen Breyer wrote the dissent and was joined by the court's three other liberal justices. They said they would have upheld Bucklew’s claims because he had raised a genuine issue as to whether executing him by lethal injection would cause him excessive suffering. The dissenters also disagreed that Supreme Court precedents required Bucklew to identify known and available alternative methods of execution. And even if he was required to do that, they said, he met that burden by proposing the use of nitrogen hypoxia. Three other states – Alabama, Mississippi and Oklahoma – have authorized the use of nitrogen hypoxia, Breyer noted. A study by Oklahoma found that it was the most humane method of execution, and another study by Louisiana found it could assure a quick and painless death. “How then can the majority conclude that Bucklew has failed to identify an alternative method of execution?” Breyer asked. Bucklew, 50, was sentenced to death for the murder of Michael Sanders in Cape Girardeau County. In March 1996, he entered a trailer where Sanders lived with Bucklew’s ex-girlfriend, Stephanie Ray. Bucklew shot Sanders, tried to shoot a fleeing child, then abducted and raped Ray. He later wounded a state trooper in a shootout before he was captured. Bucklew has a rare congenital condition, cavernous hemangioma, which he says has caused blood-filled tumors to grow in his head, neck and throat. He contends he’s at risk of gagging and suffocating if he’s executed via lethal injection. A year ago, the Supreme Court temporarily halted Bucklew’s execution, with Justice Anthony Kennedy joining the court’s liberals in granting the stay. Kennedy retired from the court three months later. This story was updated to include the comments of the director of the ACLU Capital Punishment Project. Dan Margolies is a senior reporter and editor at KCUR. You can reach him on Twitter @DanMargolies. The Missouri Supreme Court is set to hear arguments Wednesday in a case challenging the legality of one aspect of Missouri’s death penalty statute. The U.S. Supreme Court hears oral arguments Tuesday in the case of a Missouri death row inmate who suffers from a rare disease and claims the state’s plan to execute him by lethal injection violates the Constitution’s ban on cruel and unusual punishment. Russell Bucklew contends the process could cause ruptures of tumors in his head, throat and neck and result in excruciating pain. Updated March 21, 5:55 p.m. – Russell Bucklew's scheduled execution has been called off. In a 5-4 vote, the U.S. Supreme Court issued a stay Tuesday evening, based on Bucklew's assertion that Missouri's lethal injection protocol would cause bleeding and suffocation due to a medical condition he suffers. This story was updated at 2:43 p.m. to include the comments of ACLU of Missouri legal director Tony Rothert. Hustler magazine publisher Larry Flynt has lost his bid to unseal documents over Missouri’s execution protocol. A federal appeals court on Tuesday ruled that the safety of members of Missouri’s execution team, as well as the state’s interest in carrying out its executions, overcame the general presumption that the public should have access to judicial records. Missouri’s execution drug, the sedative pentobarbital, is made by a compounding pharmacy in a St. Louis suburb, according to a BuzzFeed report published Tuesday. The identity of the compounding pharmacy has been a state secret, despite lawsuits brought by media outlets and inmates, the latter claiming it was information they needed to know to ensure that executions will not inflict pain and suffering.